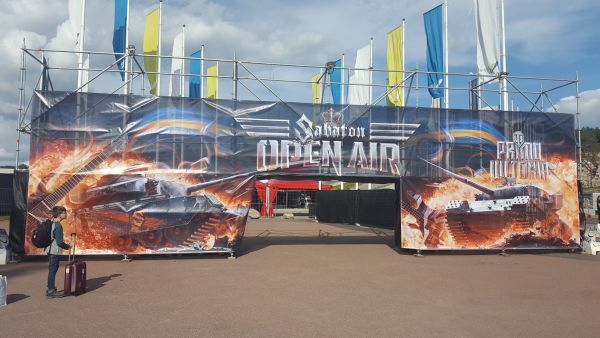 For one evening before Sabaton Open Air, the arena is opened to everyone – ticket holders and locals alike – for a few hours’ knees up with some smaller / local acts given the chance to show off their wares. Everything takes place in the large bar tent which overlooks the main stages (kids allowed for this one evening) and much fun is to be had. I managed to catch most of the acts around looking after my son and his new friend (with the help of said other boy’s lovely parents! ), while avoiding buying beers at Sweden’s notoriously scary prices! The Last Heroes got the party going with a raft of covers including “Welcome to the Jungle”, “Hell Bent For Leather” and “Youth Gone Wild”. Watching my lad with his horns up, headbanging to Guns N’ Roses was the perfect beginning to things, though he soon decided he’d rather go and play outside which is cool. V were a heavier act, but Baruk Khazad really caught my ear with their crunchy, folky sounds. The last song in particular had the crowd running rampant, a really bouncy little number. The next band I caught were Chainwreck who had a lot of promise but spread it over far too many genres. Their lighter tracks (in terms of vocals) really worked well, especially with the to-and-fro backing and main vocals. If they can pick a direction and focus on that, then they’ve definitely got promise. Headliners were the very popular Brothers of Metal who filled the tent (and it’s a big tent!). 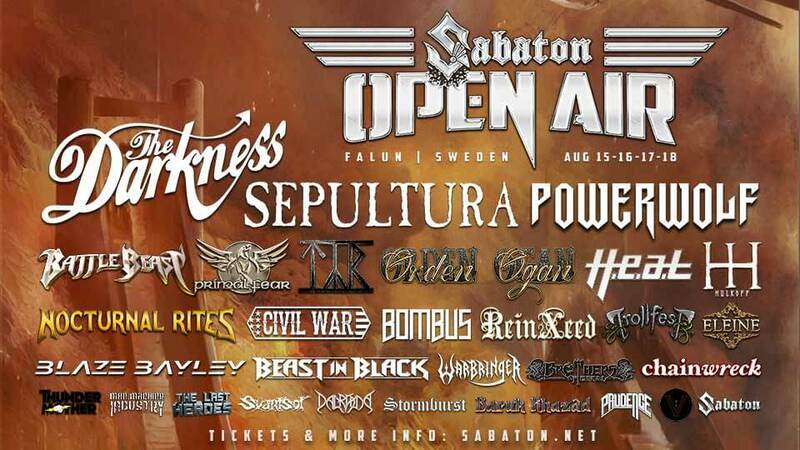 Their humorous power metal and great audience interaction led to as many laughs as raised horns as they ploughed through a long set, including a couple of guest appearances (such as Sabaton’s own Tommy Johansson. New song (“Yarg”?) was a belter and they did request that nobody record it and put it online so hopefully you’ll hear it in justified properly-recorded glory soon as it was very good indeed. Overall, a great night for kids and grown-ups to warm up before the festival opens properly the next evening. Talking of which, as I write this, we’re getting close to that hour so I better go and retrieve a young boy!